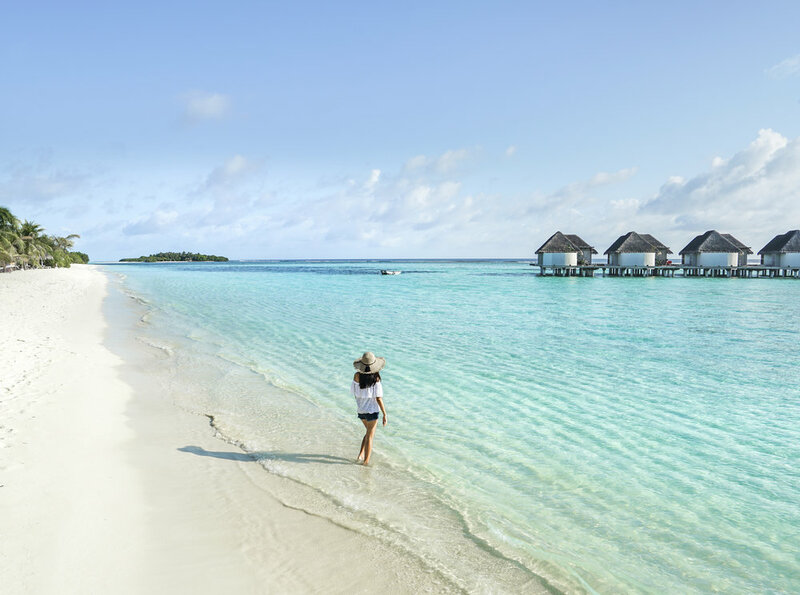 Kanuhura Maldives is a newly opened island resort composed of three islands within the Maldives - Kanuhura and two uninhabited neighboring islands, Jehunuhura and Masleggihura. Kanuhua is located in the Lhaviyani Atoll in, which takes 35 minutes to reach by seaplane from Male International Airport. Upon my arrival to Kanuhura, I was captivated by the natural beauty of the island. Kanuhura is hugged by white sandy beaches and filled throughout with tropical greenery. Kanuhura may not be one of the most luxurious or grandiose resorts in the Maldives, however the resort is designed around a bohemian style and feel, utilizing natural materials in all the interior designs which provides an island vibe allowing guests to indulge in a true Maldivian experience. Given the fact that Kanuhura is a huge island, the resort only has 80 villas, ensuring guests have the feeling of calm, peaceful, seclusion. Kanuhura offers 9 different type of accommodations, from a cozy beach villa to a duplex allowing for families or larger groups. Each villa have a private outdoor sitting area with the best views of the ocean, a spacious outdoor shower and a freeform bath that semi opens to the sky! Every villa is assigned to a personal villa host to take care of all your needs during your stay. For guests who are staying at a beach villa, they do not have to worry about walking to a public beach area since each villa is nicely spaced out, and have its access into the beautiful lagoon. Aside from the gorgeous water views and private lagoon, Kanuhura offers tennis lessons, toured walks through Orchid Nurseries and the Chef’s Garden, a kids club and a teen club, a spa equipped with a fitness center, and a lounge for private screenings on a movie cinema screen. 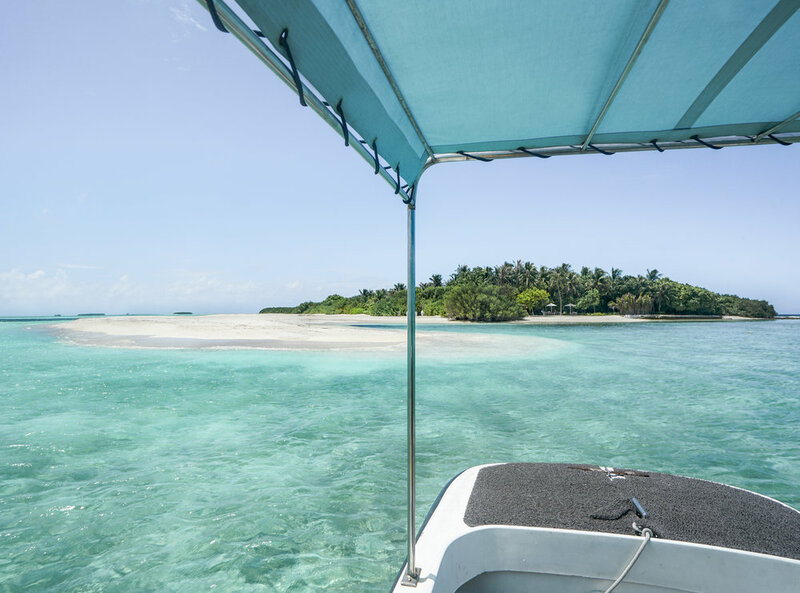 In addition to all of that, Kanuhura can provide you with a luxury picnic and a relaxing getaway to Jehunuhura Island -- just a 5 minute journey from Kanuhura! 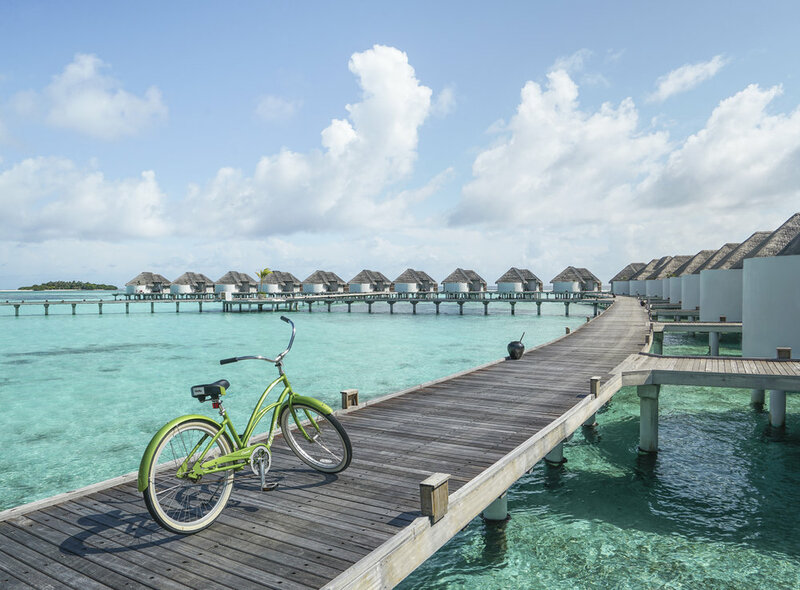 As tranquil as Kanuhura is, the island does offer a wide variety of activities for those interested in exploring more than the breathtaking lagoon. The more relaxed activities around the island include swimming in the fresh water pool, visiting the library or the game room, shopping at the Kanuhura Boutique or taking a class in cooking, cocktail making or wine tasting sessions. For water activities, Kanuhura can accommodates for any level of skill, also including scuba diving courses for beginners and gear to those certified. Kanuhura has a plethora of water toys and activities including fly fishing, jet skis, jetlev flyers, wake boarding, water skiing, wind surfing, stand up paddle boarding, canoeing, snorkeling, catamaran sailing, and banana boats! With all of the activities offered here, Kanuhura will never leave you with a dull moment. Kanuhura out does itself in the culinary abundance of luxury dishes throughout the wide variety of restaurants and bars on the island. No matter what dish or food you are looking to indulge in Kanuhura will provide it. A Mano, which translates loosely to “made by hand” over looks the Indian Ocean and allows guests to marvel over the view and the food. A Mano serves a different theme of food each night and breakfast each morning. Bottega, is the place to dine if you are in seek of a fresh artisan pizza and Mediterranean seafood dishes. The Bottega is surrounded by tropical gardens and even offers upon request a private dining room. Chef’s Herb Garden, if guests are in search of an unforgettable and exclusive dining experience at Kanuhura they do not have to look any further than Chef’s Herb Garden. Chef’s Herb Garden sumberses the lucky guests with candles throughout the herb garden and under the twinkling stars. The Chef creates a set menu based on the freshest and finest ingredients that day. Deli, is for those guests seeking out a quicker high quality snack or beverage. Deli provides the comfort of home feel in serving up teas, coffees, sandwiches, health drinks, waffles, pancakes and ice cream! Drift Beach Grill, is located on Jehunuhura one of the two uninhabited islands, a shuttle leaves about every 20 minutes. The Drift Beach Grill provides guests with freshly grilled food beachside. Iru Beach Bar, provides a calm atmosphere and a stunning views where you are able to witness a sunset along the beach. Veli, meaning “sand” in Dhivehi, provides a variety of Asian dishes that spread from Korean style, Japanese, Chinese and Singaporean. Guests will not leave disappointed with such a wide variety of luxury dishes served with a view of the lagoon.